You've tried dieting. You've tried exercise. Sometimes no matter how hard you diet or exercise these problem areas prevent you from getting the body you have always dreamed of. With Smartlipo Laser Body Sculpting, you can change all that. Smartlipo™ is the FDA approved safe and gentle lipolysis treatment used to permanently remove fat from those challenging areas. This revolutionary treatment uses a laser to melt away fat in trouble spots like your abdomen, thighs, arms, knees, back and neck and unlike traditional liposuction it smoothes and tightens skin. The results last longer than dieting or exercise and since the treatment is minimally invasive, you’ll be in the doctor’s office one day and out looking fabulous the next. Laser Lipolysis is performed without general anesthesia in the office while you are awake under local anesthesia. A small laser containing probe is inserted into the area to be treated. The fat is first gently liquefied by the radiant energy of the laser wand under the skin and it is then suctioned out. The small laser can also seal blood vessels as it zaps fat, so there is less swelling, bleeding and bruising than with traditional liposuction. Smartlipo is the smarter alternative to traditional liposuction. Laser-assisted liposuctions have less bleeding, swelling, and bruising than conventional liposuction. SmartLipo carries much fewer risks than traditional liposuction, and the recovery time is much shorter. The minimal invasiveness of the procedure allows patients to see faster results and to experience fewer complications. As an added bonus, the gentle use of the laser simultaneously firms up that sagging skin as well by stimulating collagen. Amazingly, you will see your body get firmer as the months go on. Usually one treatment removes those stubborn areas permanently since fat cells do not regenerate! 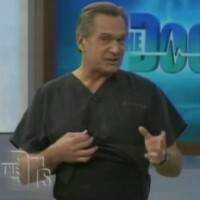 The Early Show's Report: "Lunchtime Lipo"
A thin laser probe approximately 1-mm in diameter containing a laser fiber is inserted beneath the skin. The probe is passed beneath the skin into the fatty tissue delivering the laser's energy to the fat cells, causing them to rupture and easily drain away, laser-assisted lipolysis. The laser energy also interacts with the skin resulting in collagen shrinkage and tighter skin. Laser Body Sculpting with SmartLipo™ is performed under local anesthesia as minimally invasive procedure. The laser energy causes small blood vessels to coagulate on contact, resulting in less bleeding, swelling and bruising, and a quicker recovery time than conventional liposuction. Who is good Candidate for SmartLipo™? If your fatty areas are not responding to diet and exercise, you're probably an ideal candidate for SmartLipo™. Most ideal candidates are in good health, of normal or near normal body weight with realistic expectations. SmartLipo™ is most effective in treating small areas of localized fat on the face, neck, and body arms, back, waist, abs, hips, thighs, and knees. Also because of its skin tightening effect, there may also be a benefit of SmartLipo™ in conjunction with conventional liposuction on larger areas of the body, liposculpture. You may experience minimal swelling and bruising. Most patients are able to return to work within 1-2 days depending on their activities. The treatment may improve cellulite to a certain degree with improved body contour. Results are visible immediately with continuing improvement up to six months. Yes. Results should be maintained with proper diet and exercise. Fat cells are permanently removed during a SmartLipo™ treatment. If weight gain should occur in the future, most fat will be deposited in other areas of the body not treated. 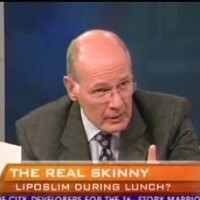 Can SmartLipo™ be used with Conventional liposuction?